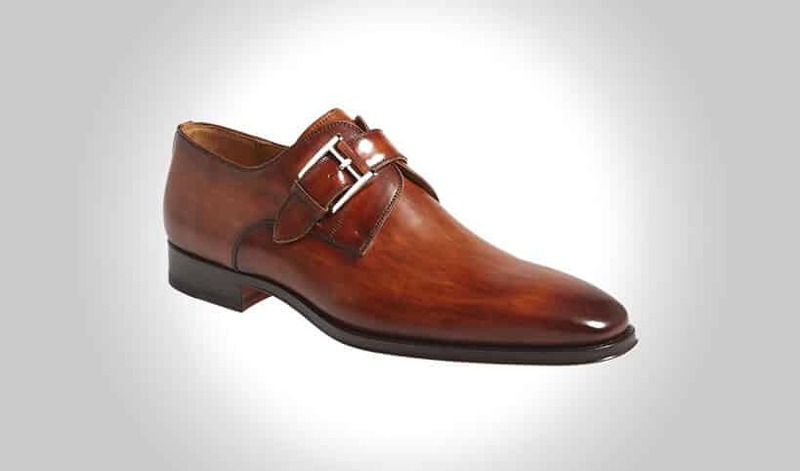 Both single and double monk strap shoes are considered by many fashion experts to be one of the most versatile and best dress shoe that a man can add to his wardrobe. Their sophisticated yet restrained design gives these shoe a truly unique look compared to any other dress shoe. Of all the dress shoes, monk shoes are still considered slightly more casual. Therefore, if you plan on wearing a tuxedo, then you will be better off going with a Oxford or Derby shoes instead. Monk shoes pair incredibly well with sport jackets, blazers. In addition, they are a nice addition to any sophisticated smart casual look. Single or Double strap monks are both considered to be fashionable. However, three monk straps is more of a trendy option that will likely go away in a few years time (hence their absence from this article). You can wear monk shoes with or without socks. This oxford shoe is simple but durable, made from cow leather so it is designed to last. The brown color of this shoe is deep and rich, and hides certain scuffs and stains easily. The dual monk strap is functional, to a degree, but otherwise looks very good on the shoe and adds a very seamless look to the shoe itself. This shoe model also features a rubber sole to aid in grip, stability, and structure. Some things of note with this shoe is that is does run rather small. For this shoe it is recommended that you purchase a size or a size and a half up to ensure that it will fit your foot. It also only comes in a medium width, and despite having a rather wide set area for the toe and the ball of the foot, it still may not be suitable for individuals with wider feet. As far as comfort goes, they are rather comfortable, but they do not give you a lot of support, so it’s advisable to put in your own insoles to ensure that your feet are still functional after a few hours of wear. A good shoe for a decent price, without any real defects or failures in design. These black leather dress shoes are more than just your plain, everyday footwear. 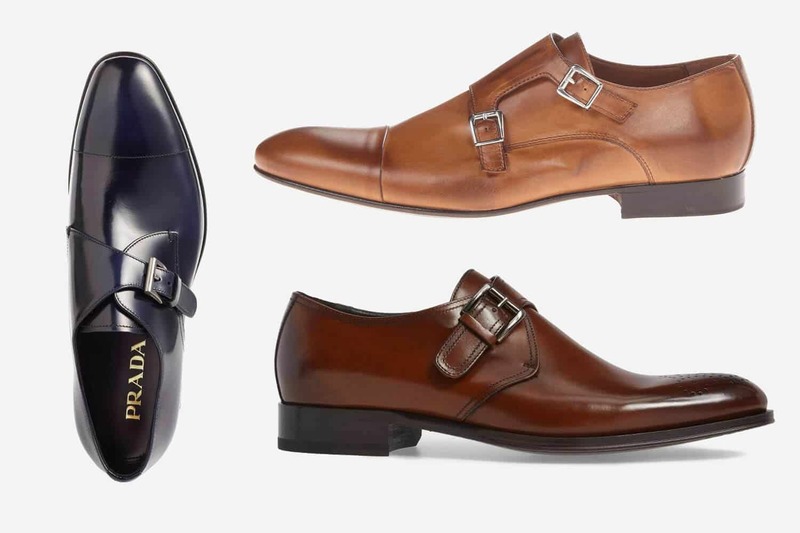 From the dual monk strap buckles to the leather upper and woven design, these shoes are everything you need to be able to stand out from the rest. These shoes have a soft square toe that is always in fashion, and goes well with both dress pants and jeans. In fact, though these are a dress shoe by design, you can absolutely wear them casually with your old Wrangler denims to give off a dressed up vibe without changing too much of your wardrobe. It all comes down to personal style. The woven look on the upper is definitely not typical of dress shoes, though it looks fantastic. The leather is polished to give off a nice shine, and makes the shoe look even classier. The leather insole is cushioned to add support and comfort, though if you require additional support, adding in a gel insole shouldn’t be too much of a problem. The biggest sticking point with this shoe is lasting power; these shoes will show scuffs very easily, and because the rubber sole sticks out, you may see some separation if you catch the sole one too many times on the sidewalk. Other than that, it is a very good quality shoe for a decent price, and is an ideal purchase for someone looking to add something different to their wardrobe. These double monk strap shoes are not your typical everyday shoe; besides being made with high quality materials and manufactured straight out of Italy, what you have is a leader in comfort, style, and function all rolled into one. These suede shoes are elegantly designed with fashionable perforations, and the stitching is done to highlight the shape of the shoe. The rubber sole is certainly a bit big, but it is very well made and stands up to wear and tear with other great shoes. The downsides to these shoes are perhaps the admittedly excessive decoration and the price. The perforations are very nice, and certainly add something to the shoe, but if you are looking for something plain to wear with your khakis, this probably isn’t the best start. The price is another area of contention, perhaps for that authentic “Made in Italy” tag, or perhaps for the real, genuine leather present on the insole. Whatever the case, it is a very comfortable shoe that is exceptionally fashionable and incredibly durable. Wear it with jeans or rolled up slacks to show off these designer pieces. Usually available in the “hemp” color from US size 7-13, but unfortunately does not offer any half sizes. This dress shoe is a handsome example of Italian manufacturing, made of 100% leather in both the upper and the sole. The brown shoe is decoratively perforated to add some texture to the shoe, but if you’d prefer, the black sports a more traditional dress shoe look. 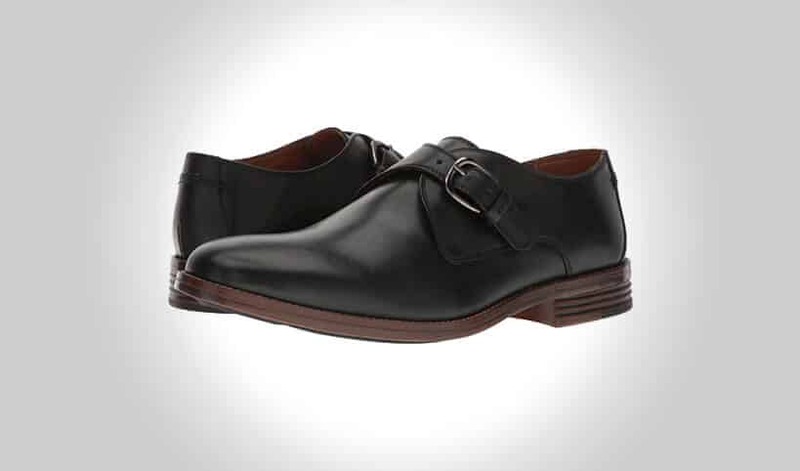 While these are dress shoes, they are not your average lace ups, but feature a monk strap for ease of use as well as being a very unique fashion choice. The monk strap can be adjusted to your liking; tightened if your feet are thinner than average, or loosened for more room in the arch. Once you have your desired strap setting, these shoes can easily be slipped on and off for maximum convenience. These shoes taper dramatically toward the toe, so if you have a wide foot, you may need to go up a size in order to get the best fit possible. There is no cushioning in the sole or on the sides, but the purchase of a soft, removable insole as well as some moleskin adhesive will go a long way to ensuring that breaking in these shoes is as comfortable as possible. 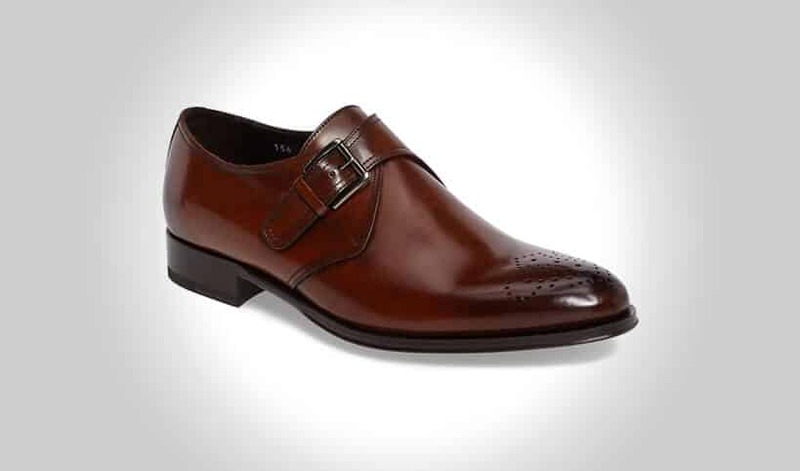 Very classy shoes, and the deep, rich, brown coloring goes well with most suit colors, but especially well with navy or gray pants and suits. The wingtip is a classic style of shoe that is bound to be fashionable for a good long time. 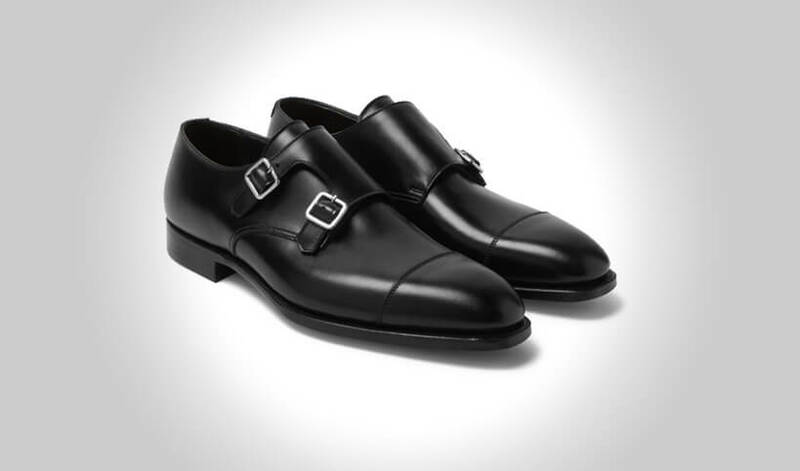 Pair that with the convenience of a double monk strap fastening and you have yourself an ideal shoe for long events such as weddings and company dinners. Unlike other dress shoes that are only available in a shade of brown and black, these shoes come in a wide variety of colors and shades, with many black, brown, and navy colors to choose from. There is also a wide range of sizes to select from, including half sizes for those who find themselves in between sizes. Upon looking at the price, it is clear that these are incredibly affordable shoes. There are mixed reports; some buyers say these are the best shoes they’ve ever worn in their entire lives, while still others report that these shoes are too hard, too uncomfortable, or just downright cheap. Although, most of the reviews are very positive, and highly recommend these shoes. They fit a little snugly, so you may have to order the next half size up to get a good fit. Calvin Klein is a fashion powerhouse, and their products are highly sought after as trend-setting icons. While sometimes these products are pricey, the leather monk strap loafer is incredibly affordable and eloquently stylish. These shoes are 100% leather, and feel amazing to wear all day for whatever function you have planned. The single leather monk strap is ideal for adjusting the tightness across the arch, with not two, but three different holes with which to fit the buckle. Speaking of the buckle, it is exceptionally shiny and complements the rest of the shoe very nicely. What is great about these types of loafers is that you don’t have to worry about lacing them up. These are a slip-on style, which makes getting ready for any event extremely easy. Many buyers say that these shoes are extraordinarily comfortable, and that they run true to size. However, one of the complaints is that they are rather plain; the solid finish of the leather doesn’t add much to this dress shoe. Although the shoes don’t have much for decoration, simple goes a long way, and these classic styled dress shoes are the way to go if you need something inexpensive for your next function. Elegant and sophisticated, this Cole Haan product is just what you need if you are looking for a plain dress shoe to wear every day. The Harrison model features a double monk strap; the straps are connected by one wide strap that expands across the arch of the foot, with two buckles to secure it. This is ideal for men who want a tighter grip near the arch, and a looser one across the top, or vice versa. There are three holes on the strap that, although they do not provide a whole lot of wiggle room, they do give you a little extra comfort right where you need it. Cole Haan has been making shoes since 1928, so it’s no wonder that these shoes showcase exceptional quality, style, and function. These shoes may not look like much, but they are handsome in their simplicity, and will go well with numerous outfits, plain or patterned. The leather sole and upper supply comfort and flexibility, while the rubber sole adds stability and all-weather wear to this great looking shoe. Wear with dress pants, jeans, or slacks to dress up any outfit for an affordable price. These shoes are available in both medium and wide widths to accommodate those men with wider feet. If you are looking for an elegantly simple dress shoe, the Cole Haan Williams II is an ideal first choice for men looking for their next comfortable dress shoe. This shoe features a plain black leather upper with a rubber sole and a single monk strap that spans across the upper part of the foot. This strap allows for easy tightening or loosening of the shoe to accommodate all different foot shapes and sizes. The buckle is also highly fashionable, and the removal of the laces makes this shoe very easy to put on and take off. Because this shoe is entirely made of leather, it is exceptionally easy to break in. The leather interior contains the foot, and adjusts as necessary while you wear them. 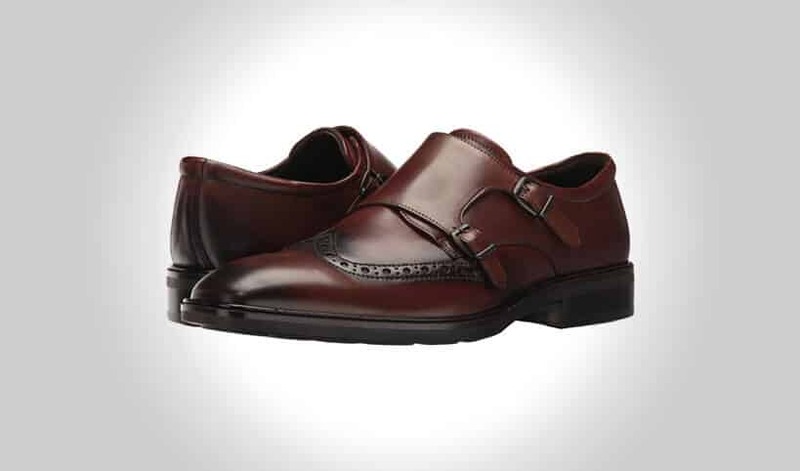 These shoes fit true to size, and many buyers agree that these shoes are extraordinarily comfortable with a deep rich color that is striking against many different colors of pants. Both shoes feature a mid-high arch and a matte finish that is subtle when worn but looks as good as a shiny finish. The leather insole is perhaps not the most comfortable, but supplying your own insoles will make breaking in these classy shoes so much easier. Do you want a shoe that is simple in design, but also has a little decoration to really stand out? The ECCO Illinois double monk strap shoe is a perfect example of a shoe that does a lot without being too flashy. It features a large leather strap held on by two silver buckles, and a decorative trim around the toe and the sides that accents the shape of the shoe without detracting from your outfit. This model of shoe comes in a warm brown walnut color, or a traditional black to complement any outfit flawlessly. It all comes down to what you want to say with your outfit. As far as wear goes, these shoes can stand up to all sorts of wear and tear. The insole is removable, so if you’d prefer, you can replace it with a gel insole for greater support. 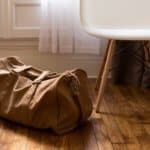 The inner lining is leather like the exterior, and while this does have a tendency to trap in heat and moisture, wearing socks should help minimize the end of day foot odor that is attributed to many leather dress shoes. Use the monk straps to adjust how the shoe fits around your foot; for example, loosening them can allow for more room if you have high arches. Available in a medium width from a size 5-14.5. Wingtip shoes are a class above your standard dress shoe because of the intricate designs and the carefully placed stitching. These shoes both look good and feel good, and add a little extra to the shoe without being overbearing. 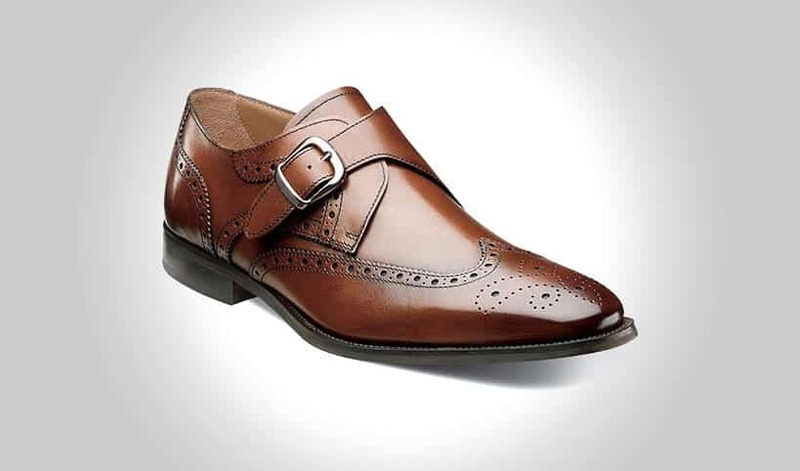 These Florsheim shoes do just that, and in the ever popular brown leather color, they are sure to be a hit with pretty much any color suit or pant you decide to wear. 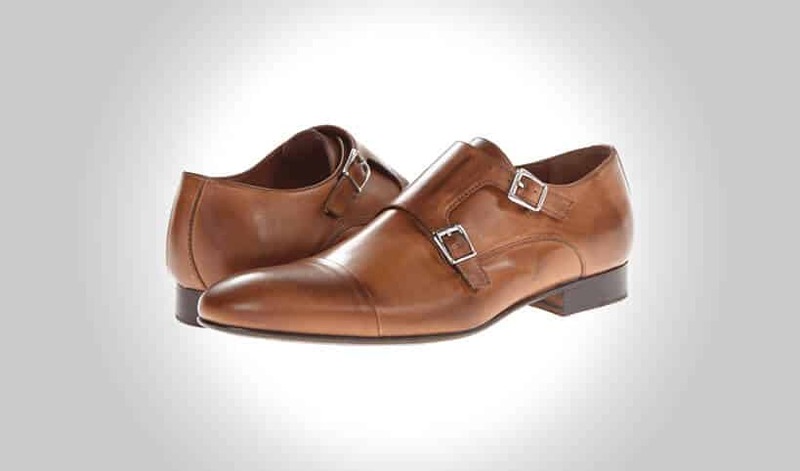 These shoes feature a monk strap, a way of adjusting how tight your dress shoes are without needing laces. This is a classy as well as convenient attachment that expedites the process of putting on a shoe. These types of straps are also very good for men who struggle with keeping a hold of thin laces. The wingtip design with the additional small decorations serve to break up the brushed leather and add a conversation piece to your feet. Wingtip shoes are always in style, so you don’t have to worry about purchasing a new pair any time soon. Of course, with great design comes a few flaws, and for this shoe, comfort is a big sticking point for a few buyers. There is very little (if any) padding in the insole, but purchasing a separate insole for these shoes should solve that problem right away. Otherwise, it’s a great quality shoe for a very affordable price. What makes for a good quality shoe? 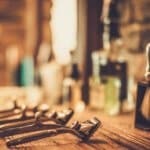 Is the leather the manufacturer uses, or the finish after the fact? Perhaps it is due to years and years of experience in the field that makes a shoe pleasurable to wear. The George Cleverley line of shoes is a testament to those years of professional shoe making, and the Thomas dual monk strap shoe is just one of many shoes to catch the eye of many highly-esteemed individuals. This shoe features a solid black finish with striking silver buckles, and a cap toe that draws viewers into the rest of the shoe. The dual monk strap is comfortable and blends seamlessly into the rest of the shoe, providing a classical look that can only be achieved with quality shoe makers. The leather lining, soles, and uppers contribute to this shoe’s price tag, but if you are looking for a quality product, you pay for what you get. These shoes are sure to last you through many years, especially if you only wear them occasionally. They are comfortable, and make a great work shoe as well. Perfect for formal occasions, business engagements, or as part of your everyday look. Available in US sizes 7 to 13, with half sizes available. Hush Puppies are one of the bigger names for shoe manufacturers, and are well known for making comfortable shoes at reasonable prices. These Ardent Parkview shoes feature an all leather design that is made to be flexible according to how you walk. The sheepskin interior is also a comfortable addition to these shoes, while not adding too much weight or thickness to the inside. A foam foot-bed sits at the bottom of the shoes provides the superior support and comfort for which Hush Puppies is known. 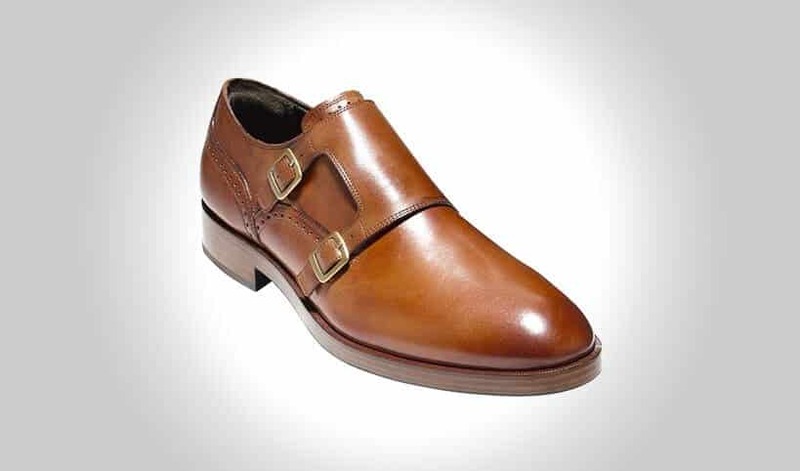 What really stands out with these shoes is the monk strap, a functional design choice that allows you to loosen or tighten the top of the shoe according to your needs. These shoes are simple in construction, but are designed to last through many wears. The leather is tough and durable, while also being flexible enough to grow into. 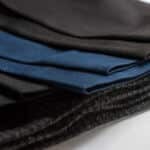 The leather is also a matte black, which is ideal for most business-formal occasions, such as work or a night out. One of the downsides to these shoes are that they tend to be a little heavy at 1 pound, though it is not enough to affect how you walk. They will take some time to break in, but because they are leather, once you have done so they will be a quality shoe for months, even years. Plain colored dress shoes are nice, but having a textured color to your leather shoes is even nicer, and that is exactly what Magnanni has done with their Marco strap loafers. These dress shoes feature a very elegant color without being plain or boring. The tasteful stitching on the sides and around the buckle further improve the design, and create a very aesthetically pleasing piece of footwear that is a joy to wear. The handsome silver buckle is equally functional and stylish, and pulls the shoe together very nicely. These shoes go well with most pant and suit combinations. Magnanni Marco shoes are made with 100% leather, which definitely accounts for a fair chunk of their price. In terms of fit, these shoes have an elongated toe, and a higher heel and ankle piece that may or may not cause some problems depending on the fit. They do run a little large as well, so purchasing the next half-size down should result in a closer fit. These shoes come in a wide range of sizes, from a 7.5 to a 15, meaning there is a fit for every man. The biggest complaint with these shoes is that breaking them in is a little tough, and may take several weeks. Wearing with thicker socks will make this process faster, but they still do need plenty of time to stretch. You’ll be over the moon with these Magnanni monk strap shoes. They are made with 100% leather, including the uppers and the sole, and are perfectly designed for every day life; whether you want to wear them casually or you want to wear them to an event, these shoes are perfect for any occasion. What’s not to love about the handsome gradient brown color and the detailed stitching that graces the sides of this top-class shoe? The toe is also decorated with numerous small perforations for a little extra something to draw the attention of unseen admirers. According to buyers, these shoes are great in all aspects: style, comfort, and functionality. There aren’t too many negative complaints about the shoe as a whole, but a couple of individuals have expressed some concern around the hard leather exterior. These shoes are a bit difficult to break in, and require plenty of time to get them where you need them to be. Other than the first few wears, after you get these shoes broken in, they are a dream to wear around and are incredibly stylish to boot. They are a bit expensive, but that’s the price you pay for designer quality. These shoes are only available in medium width, and because they are already rather narrow shoes, they would not be good for people with wide feet. Seamless design with a handsome finish, that is what Massimo Mateo strives for. This particular shoe of theirs features an elegant flow from toe to heel, and in its simplicity, there is beauty. For starters, these shoes are made out of 100% leather, and the leather is capped at the toe to give a slight oxford look, without detracting from your outfit. The finish carries a slight shine, though it is not overwhelming at all. 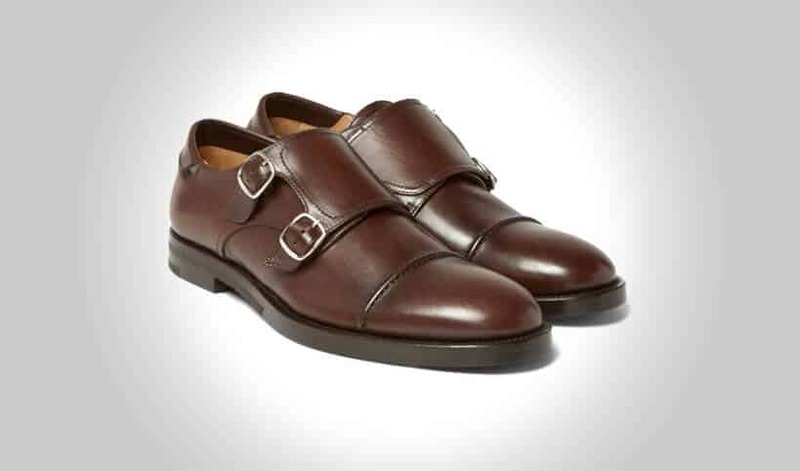 The dual monk straps are fashionable, and they can be adjusted for greater comfort. Both the black and the brown colors are gorgeous, and will accent a suit or casual outfit nicely. Day or night, these shoes work with whatever you want to put them through. The leather lining and the insole are both extraordinarily comfortable to wear, and you don’t have to worry about undoing and redoing laces, as these shoes are entirely slip on. Many customers say that this product fits true to size, but there are some outliers that say that these shoes actually fit a bit bigger than what they say. Your best bet will be to order your size and see how it feels and exercise the return policy if necessary. These Massimo shoes are available in sizes 7 to 13. High quality shoes don’t come cheap, but if you happen to find some for under $1,000, you’d be looking at a great deal. 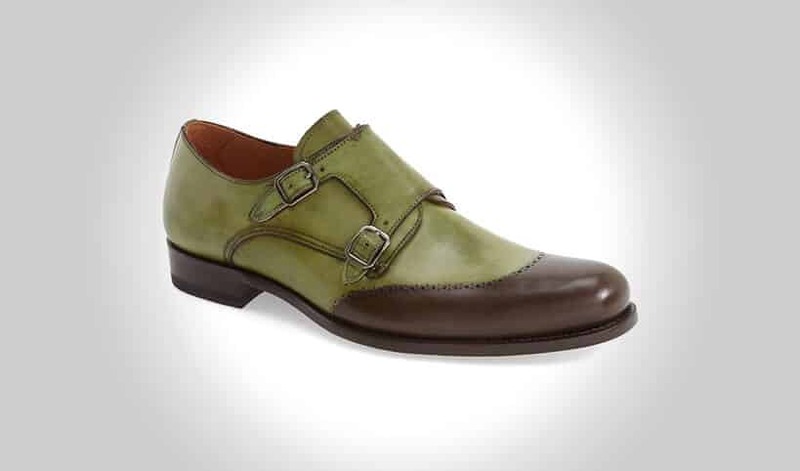 These shoes by McCaffrey are genuine leather with a sprinkling of Italian influence. These shoes are supposed to be multipurpose; ideal for life at work, but also so that you can look good on the commute to and from (such as on a bicycle). These shoes certainly deliver on that front, with a handsome leather upper and a thick leather sole that looks great and feels good to wear. The dual monk strap is beautifully crafted and stitched, and the metal buckles shine handsomely against the leather exterior. These shoes fit true to size, but are only available in a short range of sizes (US 8-12). There is also no option for a wide fit, though these shoes are not tapered in any way. In terms of looks, they don’t exude “dress shoe”, but they are a step up from street shoes and would make for a very nice dress casual shoe with some khakis or dressy jeans. Like the manufacturer intended, these are also suitable for casual cycling within the city as well. Comfortable, easy to wear, and stylish to boot, these shoes are definitely for the city man. These shoes look like an oxford, but looks can be deceiving. The single piece leather upper is tinted to give you that signature oxford look, with perforations along the changing colors to further sell the illusion. That isn’t to say that these shoes are anything less than genuine; in fact, the 100% leather is fantastic to wear as it eventually fits to your foot shape without warping or cracking. This shoe comes in two distinct colors, the familiar brown color that is rich and woody, and a lesser known “khaki” color that is more akin to an olive than khaki. Color choices aside, this shoe features a dual monk strap and a leather interior and sole that brings class to this handsome shoe. Be aware when buying that this shoe does run a little large, so be sure to order the next size down to ensure a perfect fit. This shoe is available in half-sizes as well, so if going down a full size is too small, a half-size should make it fit better. Sizes run from an 8 to a 13, ideal for most men’s feet. Unfortunately, it is also only available in a medium width. The narrow toe also ensures that men with wider set feet probably aren’t going to be too comfortable in this style. Luxury and sophistication come together in this Prada product. 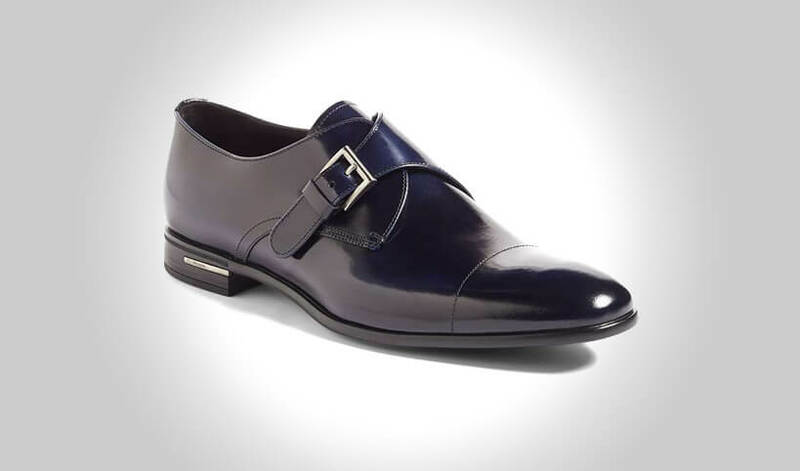 These dress shoes feature a single monk strap style and sparkling deep blue leather, a handsome pairing that is sure to complement your outfit nicely. This shoe gets its remarkable shine by using Spazzolato leather, a specially treated calf leather that is designed to bring out that high gloss look, while also being durable and waterproof. These shoes are the epitome of Italian style, ideal for any man looking to subtly spice up his wardrobe. What makes these shoes even more remarkable is the slight detailing of the stitches across the toe and around the buckle. This stitching breaks up the aggressive shine of the shoe into parts, which is very appealing on the eyes. The very deep blue leather looks almost black, but it is not recommended that you wear these shoes with a black suit. However, you can wear them with most other colors of pants to accent the dark blue color, such as a gray or light blue pant. As for the fit, these Prada shoes fit true to size, and with the quality craftsmanship, they are guaranteed to last for a good, long while. Wear them either casually or to formal events to really bring your outfit up a few notches. 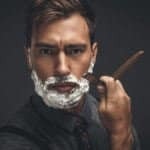 Stacy Adams is a reputable company that specializes in men’s dress and casual shoes for every day of the year. They showcase extraordinary quality with timeless design that is a pleasure to wear day after day. The Dinsmore monk strap dress shoe is not only a great quality shoe, it also looks and feels like a dress shoe should; it is comfortable, stylish, and works well with many different outfits. The shoe upper is made of 100% leather, which allows it to stretch and mold to your foot over time, without warping or losing it’s shape. What stands out the most with this shoe is the superb color each shoe has. Not only are the leather uppers made with bold, quality leather, the synthetic soles are colored to offer a striking contrast between the two parts of this shoe. 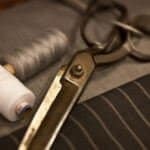 Because of this, every Dinsmore shoe can be worn with a wider array of pants and suits. These shoes come in 5 different colors, such as black, red, and even navy. 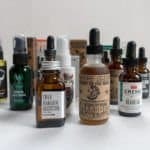 It also comes in many sizes, starting from a US 7 to a US 15, with many half sizes available, as well as a choice between medium and wide widths. For men who have issues finding their size, these may be a good place to start. A classic dress shoe is simple, elegant, and functional. 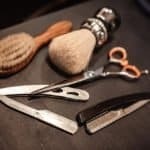 While laces are the usual go-to for many individuals, some choose to go for a more streamlined look. The monk strap style Kristov dress shoe is clean, featuring a single leather strap that extends across the top of the shoe, and a brass buckle that can be adjusted to either let out or take in the top for added comfort. These shoes are what dress shoes should be, with a simple toe decoration at the front, and a brushed leather look throughout. There are no laces that break up the look of the shoe, just a clean, brushed leather look that goes with any outfit. This shoe is almost completely leather, from the uppers to the insoles. This makes for a very genuine experience, if not as comfortable as other dress shoes. 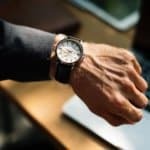 It is wise to invest in some cushioned insoles for these shoes if you plan to spend extended hours wearing them (such as for work or for business occasions), as they do not possess any cushioning of their own. They are a very well made shoe that requires very little breaking in to get the hang of them.